Hulda Clark tested commercially available brands of toothpaste and found every single one of them tainted with toxic chemicals. Sweeteners: Saccharin was found to cause bladder cancer in rats. Sorbitol has a laxative effect in large quantities. Hulda Clark published simple recipes for tooth care in her books. She recommended food-grade hydrogen peroxide as an effective antibacterial that also whitens teeth, but should only be used if you have no metal dentistry. I have no problems there, but my daughter is currently wearing braces. 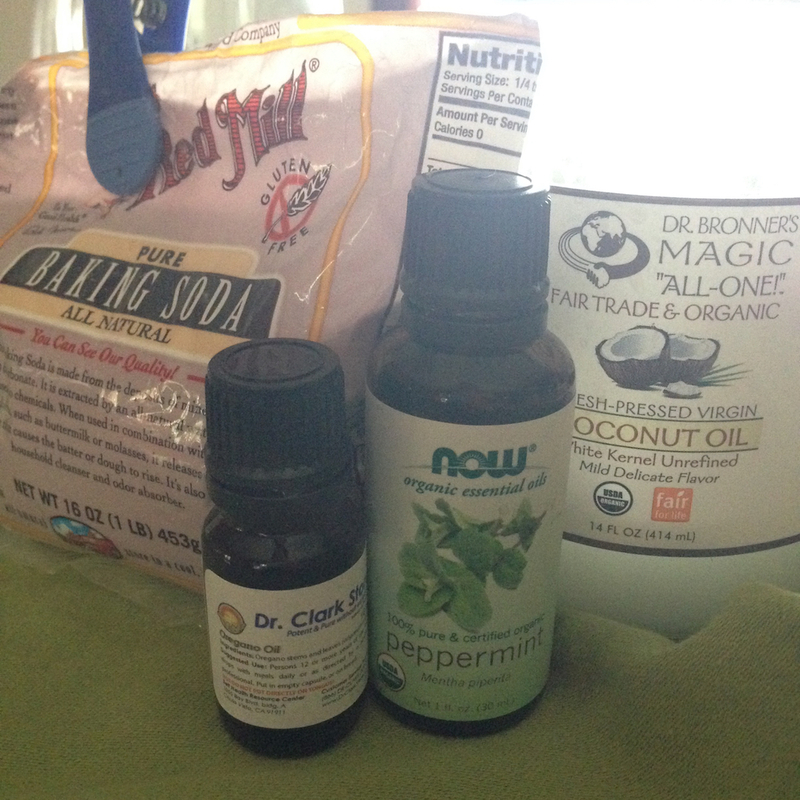 I did a lot of research online for homemade toothpaste recipes, and found that they mostly had extra virgin organic coconut oil and baking soda in common. Those two ingredients alone is your basic toothpaste. Coconut oil has excellent antibacterial and tooth whitening properties, while baking soda acts as an abrasive. Oregano oil is a powerful antibacterial, antiviral, and antifungal, making it effective against periodontal disease. Peppermint oil is effective against bacteria that can cause gum disease. Do those ingredients look good to you? All the benefits of toothpaste without the side-effects. Here’s my recipe. Mix all the ingredients together until well incorporated. You only need a pea-size glob to brush your teeth with.